number of dedicated nurses care for aging adults and people with complex medical needs inside their homes, administering daily medications, providing relief from the symptoms and stress of a serious illness, and managing personalized plans of care. At BrightStar Care, every case is overseen by a Registered Nurse Director of Nursing. Our nurses, their expertise and leadership are critical to our mission of delivering A Higher Standard of Home Care. 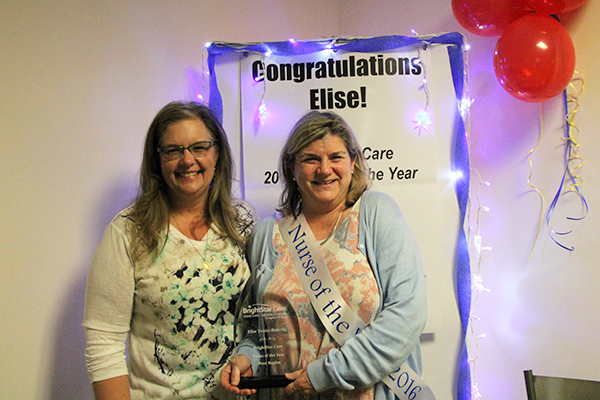 To pay tribute to the specialized and tireless work of the thousands of nurses throughout our network, we honor the exceptional work of our nurses across the country through our Nurse of the Year program. These very special nurses will be attending our Branch Leadership Conference this week where we will be celebrating their wonderful accomplishments and making a very special announcement of the 2016 National Nurse of the Year award winner on Saturday, April 16. 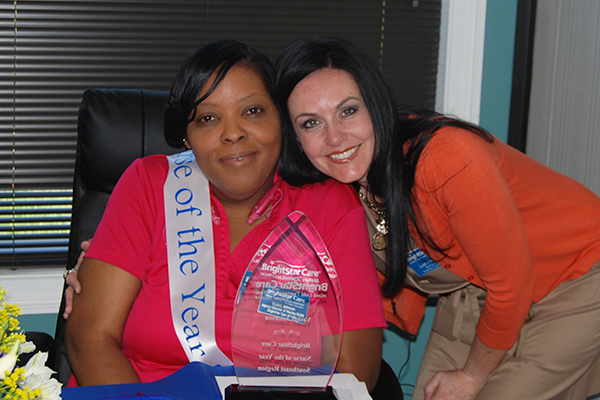 Be sure to connect with us on Facebook, Twitter and Google+ for special coverage of Nurse of the Year and the announcement of our 2016 national winner! BrightStar Care franchises employ more than 5,000 nurses, including Registered Nurses, Licensed Practical Nurses, and Licensed Vocational Nurses. 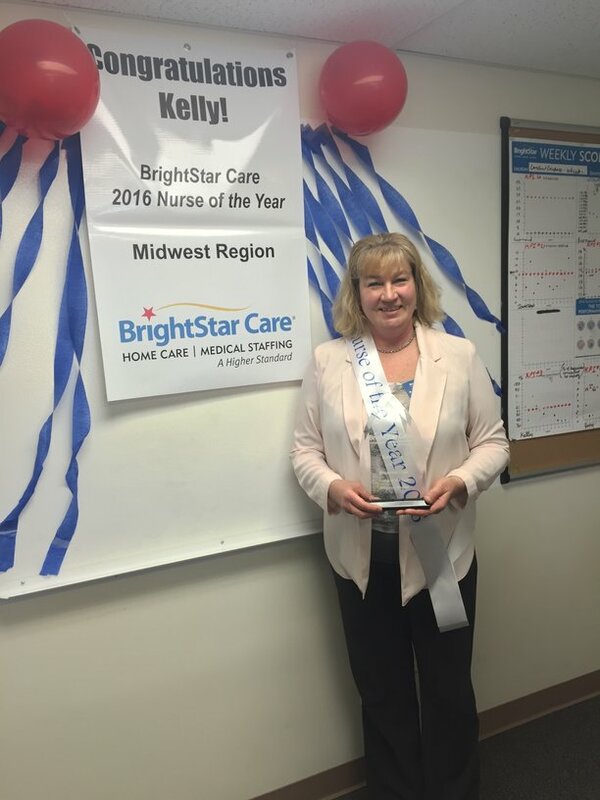 Through this program, we've gathered stories from the front lines about how our nurses act as leaders in their local BrightStar Care agencies, follow the brand’s values and consistently demonstrate and exemplify the BrightStar Care “Higher Standard of Care.” The nominations we’ve received punctuate the passion, leadership and expertise that our nurses are bringing to their jobs every day. 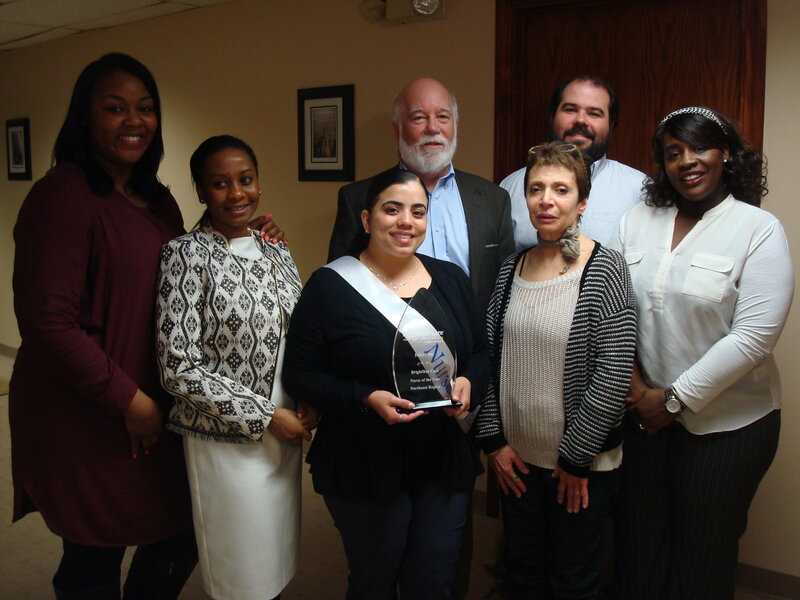 Stay tuned for introductions of our wonderful regional winners and the April 16 announcement of our 2016 National Nurse of the Year!